What drives Danny Thompson to car racing, let me tell you! – Dr. Turi M.D.U.S. What drives Danny Thompson to car racing, let me tell you! Fast, daring, lucky and born a leader, but at 64 I am still cosmic unconscious and do not know why God lead me to do what I do and who I am! Why would a 64-year-old blast across the Utah desert faster than a 747 at takeoff? For Danny Thompson, it’s all about proving something to his famous father — and himself. That is the logical, rational answer provided by the nerdy “educated” current “OCD generation” of scientists who lost the spirit! But the real “cosmic”drive is… Physically or spiritually, racing is encrusted all souls born with such a fiery, competitive dragon and in Danny Thompson’s blood. 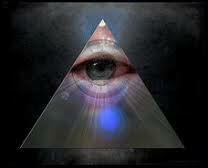 The same cosmic fluid is feeding my turbo charged mind making it so hard for so many of you to follow me! Yes God made leaders and the followers and it is an honor to be appreciate by those who “vibrate” psychically at my own super speed! Noble Cheryl – Dr. Turi, I am here, cannot read as fast as you write. I am a faithful follower. Don’t give up! Like me, George Foreman and Von Braun to name a few, Danny Thompson was also born with an Aries (speed/danger) competitive Dragon’s Head! While this fact will make absolutely no sense to the “young souls” my students can only appreciate the incredible values found in the science of Astropsychology! This is what make the difference between the “Super Human and the Animal Human.” But what is really formidable is; 99.99% of the world’s population, including our scientific community are totally oblivious of the cosmic code jurisdictions and the human UCI! 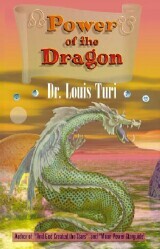 Aren’t you lucky students to land on Dr. Turi and see the humongous cosmic ignorance plaguing this world? Key words for a negative Aries Dragon’s Tail…. WHAT ARE THE SINS AND VIRTUES OFFERED BY YOUR NATAL DRAGON? What the 2014/2015 Dragons have in store for you? Only the smart “Super Human” will be curious enough to find out! I KNOW ALL ABOUT YOU! My work is for the very smart intuitive readers who inherited an advanced UCI. 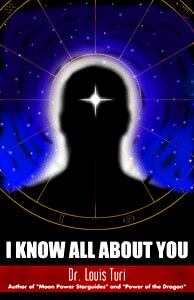 Join Dr. Turi Cyber Cosmic Identity to learn more. Next post: U.S. aircraft strike ISIS in Iraq – Did Anyone paid attention to my predictions?